For Mitsubishi service in San Diego, you can count on the team of auto mechanics at John’s Automotive Care. 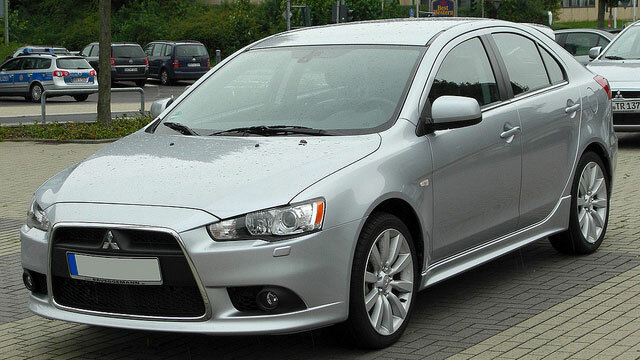 For nearly two decades, we have been the go-to auto repair shop for Mitsubishi owners. We are committed to securing both your safety and satisfaction, which is why our auto mechanics receive continuous training, and our facility is outfitted with highest-quality tools and equipment. John’s Automotive Care is both an AAA Approved Auto Center and NAPA AutoCare Center. To be supported by these organizations, we had to meet stringent standards. We must provide both excellent customer service and auto repair, along with only using the best parts, tools, and equipment. Because we are a NAPA AutoCare Center, we back our work with a 36-month/36,000-mile nationwide warranty. We were also named ASE/NAPA Technician of the Year. These esteemed certifications and awards are a testament to the longevity and reliability of our Mitsubishi service. Mitsubishi owners, like you, know they can rely on receive stellar auto repair and customer service at John’s Automotive Care. Our highly-qualified and trained auto mechanics are leaders in the automotive industry. Our team consistently earns fantastic reviews and testimonials from satisfied clients and takes great pride that clients choose us as their leading auto repair service center. We hope that you choose us as your premier car repair service center, too. To schedule an appointment for your Mitsubishi auto repair service, call us at (619) 304-0815. Visit John’s Automotive Care at 6267 Riverdale Street, San Diego, CA 92120.